I snapped this shot at the beach on Sullivan’s Island, SC last weekend. So as most of you know, I grew up in a little town on the NC coast. My hometown is close enough to the Pamlico Sound to get a good whiff of salt air on a strong breeze, but the only water you can see from town is the Pungo River and Pantego Creek (which is wide enough where I live to be considered a “river” elsewhere in the world). My childhood home lay just beyond a swamp (which bordered the creek), next to several ponds, and beside a ditch. I spent a lot of time playing near the ditch, but never in it. There were snakes – eek. Basically, I grew up with sea legs, despite being far enough from the Atlantic that I only got to see it a couple of times a year. I remember one of the first times I ever went to what I still consider the “real” beach – where you can’t see land on the other side of the horizon. I must have been three or four. 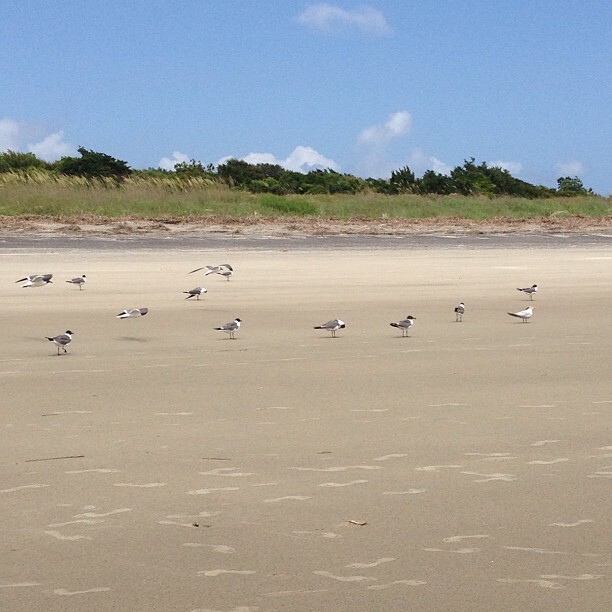 My parents took me to Ocracoke Island, about two hours ferry ride from the mainland. Mum held my hand and we stood in the sand, letting the waves lap over our feet. We gradually sank deeper and deeper into the sand, until I was buried up to my calves and giggling like mad. I’m in my 30s, and it’s still one of my favorite thing to do EVER, along with reading Stephen King books and eating chocolate ice cream. I remember being utterly at ease in the water, but knowing somehow that my mother was deeply afraid of letting go of me. I remember that my father held my other hand, and showed me that if I watched the waves and then turned around to see the dunes, for a second it looked like we were washing out to sea with the water. I was transfixed by the magic of it all. Still am. Because I grew up around water, I didn’t realize how important it was to my mental and spiritual wellbeing until I left. New Orleans is on the Mississippi River, next to Lake Pontchartrain, and pretty darn close to the Gulf of Mexico, but even with all this water around, it’s hard to access it. I’ve never been to the lake – I’ve been over it on a bridge, but never on the shore. I’ve sat on the shore of the Mississippi, but it’s like sitting out on Pantego Creek – except that I wouldn’t dare take a dip in the Mississippi – it’s pretty gross. You can’t get into the Gulf from here, either. Most people go to Mississippi or Texas if they’re considering a trip to the beach. I didn’t realize how much I missed the water until I moved to Chicago and lived about a block and a half from Lake Michigan. I went running down the Lakeshore path every day, and loved watching kids frolic in the sand, and people in wetsuits training for triathalons. I even visited the lake in the winter to wade through snow and watch the ice floes from up close. In the summer, I’d open up my apartment windows to let in the lake breeze, and at night I could see the waves lapping in the moonlight from my apartment. When I moved back to New Orleans after that, leaving the lake behind was like cutting ties with a lover. I’m still bitter. That’s why the next place I live will be on the water. It must be within walking distance (or at the most, short driving distance) of the water. I must be able to wade in when I want, to say hello, to breathe in that goodness, to feel comforted by the sea when it’s happy and calm, and be awed by its majestic temper on stormy nights. I don’t know when it’s going to be, but there will come a time when I just won’t be able to take living here in New Orleans one more second. When that happens, I’m packing up and moving to the water. I’m not looking for a tropical island – just a little slice of quiet. 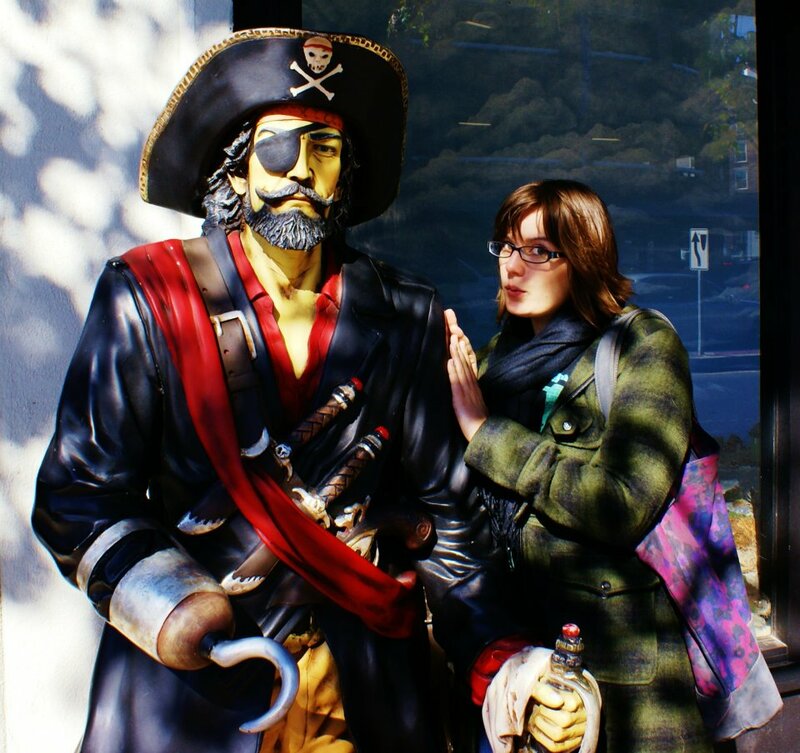 Two Halloweens ago, I took The Man on a little getaway to Salem, MA. We stayed just down the road in Marblehead, in a gorgeous little B&B out on a sliver of rock called Marblehead Neck. It’s by far one of the prettiest spots I’ve ever had the pleasure to visit. I can’t imagine ever having enough money to own a home out there, but it’s certainly a lovely thought. To live in a historic town, with enough land to plant a garden, a great view of the water, and a fireplace to sit by and sip whiskey on a cold night? Throw in a yearly trip to somewhere foreign and a career where I can help people, and you’ll have my dream, all wrapped up in a nutshell.